Kim Pyong Ryul (Photo: Rodong Sinmun). Kim Pyong Ryul began his career during the late 1950s as a guidance officer in the KWP Education Department (currently part of the KWP Science Education Department). He held successive positions in the Education Department working as a section chief, deputy and senior deputy (1st vice) director. In 1968 Kim was appointed Chief Secretary of the North P’yo’ngan KWP Provincial Committee, a position he held until 1989. In 1974 he was interim Chairman of the North P’yo’ngan Provincial People’s Committee. Kim traveled to the former Soviet Union in 1972 as member of a KWP-DPRK Government delegation and to China in 1979 at the head of delegation from North P’yo’ngan Province. In 1989 ill health compelled him to resign as North P’yo’ngan’s leading party official and he moved to Pyongyang to receive medical treatment at the Ponghwa Clinic. In 1990 Kim was appointed Chief KWP Secretary of the Central People’s Committee (currently the Supreme People’s Assembly [SPA] Presidium). In 1991 Kim was promoted to the military rank of Lieutenant General and appointed to serve as member of the Guard Command’s Political Bureau. At the first session of the 10th SPA in September 1998, Kim Pyong Ryul was appointed Chief Justice and President of the DPRK Central Court (Supreme Court) and a member of the SPA Legislation Committee. He was reappointed head of the court at the first session of the 11th SPA in September 2003 and the 12th SPA in April 2009. In 2005 he led a delegation of DPRK attorneys to participate in a lawyers’ conference in Beijing. Kim also signed legal cooperation and extradition agreements with Vietnam in 2002, China in 2003, Ukraine in 2004 and Russia in 2006. In January 2010, he accompanied late leader Kim Jong Il (Kim Cho’ng-il) on a visit to the Court’s renovated offices and its new courthouse. By 2012, Kim Pyong Ryul was semi-retired. He vacated his seat on the SPA Legislation Committee and became an advisor to the Supreme Court. Kim Pyong Ryul was the son of Kim Jung Gwon, a member of the Wangqing County Young Communist League who participated with late DPRK president and founder Kim Il Sung (Kim Il-so’ng) in anti-Japanese guerrilla activities in northeastern China and died in the early 1930s. 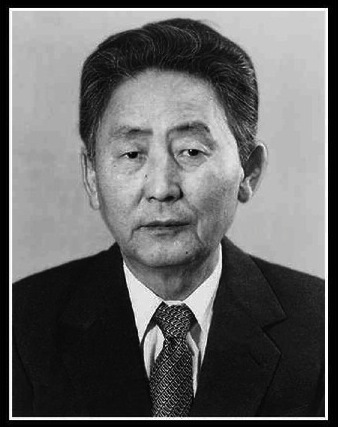 Kim attended Mangyo’ngdae Revolutionary School, served for several months during the Fatherland Liberation (Korean) War and studied at the Czech Technical University in Prague during the mid-1950s. He was elected a member of the Party Central Committee at the 5th Party Congress in 1970 and he was first elected a deputy (delegate) to the SPA in 1972. He retained both positions until his death. He was promoted to KPA Lt. General in 1991 and was promoted to General in October 1995. 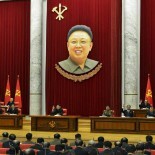 Kim retired from the KPA in 1998 ahead of his appointment to the DPRK Supreme Court. Kim had close ties to the Kim Family. He was a diligent worker with a pragmatic personality who was quite effective in implementing policy. This entry was posted on 11/06/2013 by nkleadershipwatch in Administration Department, Cadre Affairs, Central Committee, dprk attorneys, DPRK Cabinet, DPRK Central Court (Supreme Court), DPRK External Relations, DPRK Legal System, Guard Command, internal security, Kim Family, Kim Jong-il, Kim Jong-un, KJI Personal Secretariat, Korean People's Army (KPA), Korean Workers' Party (KWP), North Korean press, North Pyongan KWP Provincial Committee, North Pyongan Provincial People's Committee, Organization and Guidance Department, Party elders, Provincial Party Committees, Supreme People's Assembly.